CAR ACCIDENTS IN MIAMI OCCUR EVERYDAY, WITH ACCIDENT VICTIMS SUFFERING BODILY INJURY, VEHICLE DAMAGE, OR LOSSES. 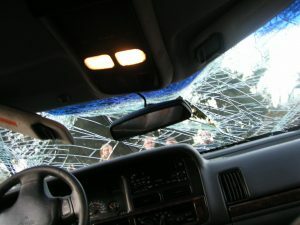 Car accident victims that are involved in collisions are most often taken by surprise and don’t know how to react accordingly to the accident, especially if there are injuries to drivers or passengers. When this happens, a sense of desperation will most likely override common sense. That is why it is important for motorists to know how to act properly and what steps and measures to take following an accident in Miami-Dade or Broward Counties. There are times when motorists need to act quickly to the accident by making sure their lives are not in danger or they risk further injury. It is vital to make sure to take the necessary measures to make sure you and any passengers in your vehicle are safe and that injuries are attended to as quickly as possible. When an accident happens on a city street or avenue, motorists are advised to not move the vehicle until the authorities arrive. However, if it is necessary to move the vehicle, Perazzo Law recommends taking photographs of the accident scene and any damage to all vehicles involved. This can only be done if the driver or the vehicle owner has the physical ability to do so. In other words, if the driver is seriously injured, then he/she can ask a passenger or a bystander to do this for them. Different rules apply when the accident takes place on a highway or interstate. In this case, the vehicle must be moved over to the shoulder, if safe and able to do so. The driver and any passengers must get off the highway to avoid being crashed into by any oncoming traffic. Visit the Perazzo Law Website for more in-depth advice on how to handle car accidents on city streets, avenues, and highways. The advice below corresponds to accidents that occur on city avenues or streets and when there is no risk of further injury. Read carefully and keep a copy of these steps with you in your vehicle. IF THERE IS NO THREAT OF FURTHER INJURY, DO NOT LET ANYONE OTHER THAN A MEDICAL PROFESSIONAL MOVE YOU OR ANY INJURED PARTIES. DOCUMENT THE ACCIDENT BY TAKING PHOTOS OR VIDEO FOOTAGE OF DAMAGE TO THE VEHICLES INVOLVED. CHECK THE VICINITY OF THE ACCIDENT SCENE FOR VIDEO SURVEILLANCE CAMERAS. GATHER EYEWITNESS TESTIMONY AND GET THEIR CONTACT INFORMATION. GET COPIES OF THE POLICE REPORT AND THE OTHER MOTORISTS VEHICLE REGISTRATION AND INSURANCE POLICY INFORMATION. SEEK EMERGENCY MEDICAL CARE IN THE EVENT OF PAIN. VISIT YOUR PRIVATE HEALTHCARE PROFESSIONAL. CALL PERAZZO LAW AT 888-PERAZZO FOR FREE LEGAL ADVICE. THE PERAZZO LAW FIRM – DEDICATED TO PUTTING YOUR INTERESTS FIRST…ALWAYS!